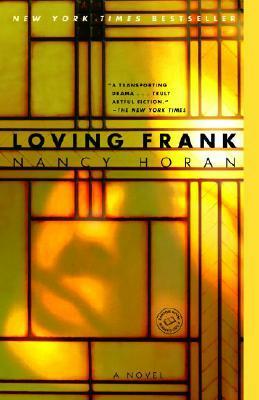 You must put “Loving Frank,” by Nancy Horan, on your must-read list. It’s the story of Frank Lloyd Wright and Mamah Borthwick Cheney and their clandestine and infamous love affair. The pair fell in love after Cheney and her husband commissioned a house from Wright. Both Cheney and Wright left their spouses and children for the other, but Cheney — an intelligent, educated and talented woman — suffered the most. She lost her children, was the subject of scorn and scandal and could barely support herself as a single woman. This is billed as an historic novel, but don’t let that put you off. Usually I’m irritated by authors who try to retell actual facts with their own creative spin, but it works here because of Horan’s extensive research and obsession with the truth. Horan lets Cheney’s voice — one that history and public relations seem to have silenced — come through strongly and authentically. This isn’t what Horan thinks happened, but what, as we come to know Cheney, must surely have happened. It’s a compelling love story, an intriguing look behind the historic facts and a damning treatise on the restrictions and injustices that hampered American women just 100 years ago. Just a note here: In the interest of honesty, I did read this book. For one of my book-club meetings. Which I missed. Because I thought the meeting was on Tuesday night when it actually was on Wednesday night. But when I showed a night late at the house of my friend who was hosting the meeting, she graciously poured me a glass of wine anyway and we sat and talked about everybody who had been there the night before. In a good way, of course. This entry was posted in Alabama, books, friends and tagged architecture, book clubs, books, Frank Lloyd Wright, history, literature, reading, women, women's rights by Coffee with Cathy. Bookmark the permalink. Oh how funny — on the missing book club. I could so see myself doing that. I had no idea of this aspect of Frank Lloyd Wright’s life. I’ll add it to the way too long list. Thanks for the recommendation! This book is a great read. The horrifying end is heart wrenching as the last moments of Cheney and her children were grippingly portrayed. I always wondered what MRS. WRIGHT was thinking all through the years when her husband deserted her. Michelle, you won’t be sorry if you add this book to the list, but be sure to read to the end, as Ina says. It’s definitely a didn’t-see-that-one-coming. Absolutely Cathy!! One of my tennis friend’s book group read it too. They loved it too. Many many things to ponder in that book!